OOH, another pretty collar. All these lovely ones I just recently acquired are from the same box, from the same estate. What fun, these treasures are! 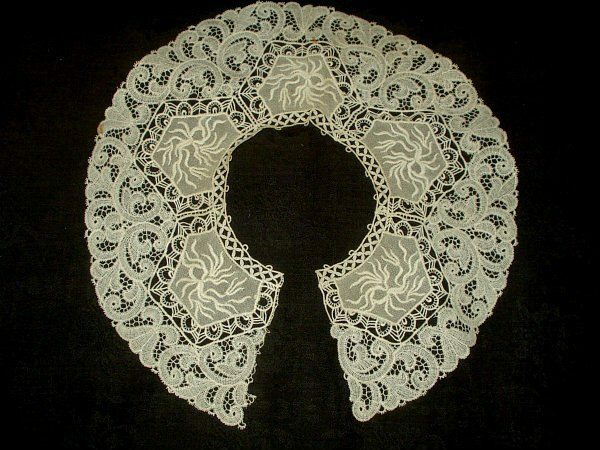 This collar is a pretty lace pattern along the outside edge, with silk machine embroidered insets. Edging at the neckline is yet another style of narrow trim. Color of the collar is off-white. The collar dates from the 1920’s – 1930’s.